At last, the sequel to The Errant Hours is published! 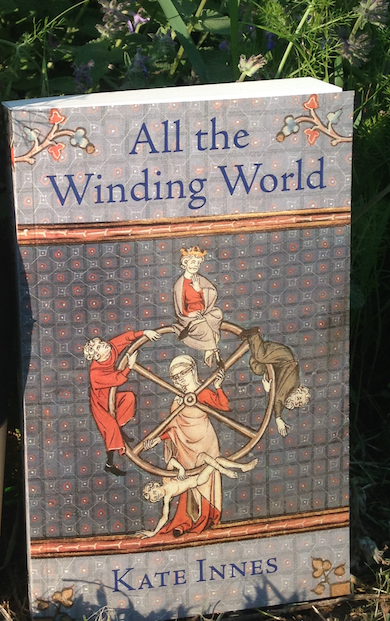 All the Winding World officially went forth on the 22 June 2018 and is now widely available as a paperback and ebook. 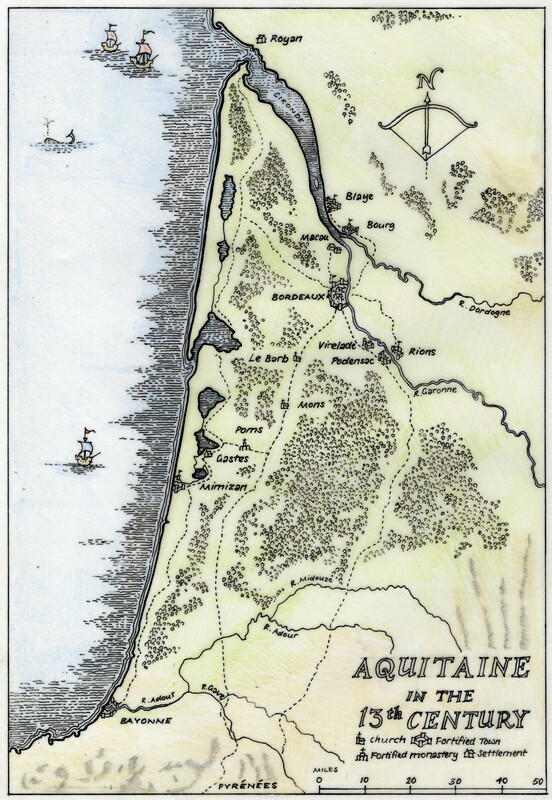 New maps have been painstakingly drawn by the artist James Wade showing the journeys of Illesa and Sir Richard in this new adventure, set during the Anglo-French war of 1294-6. 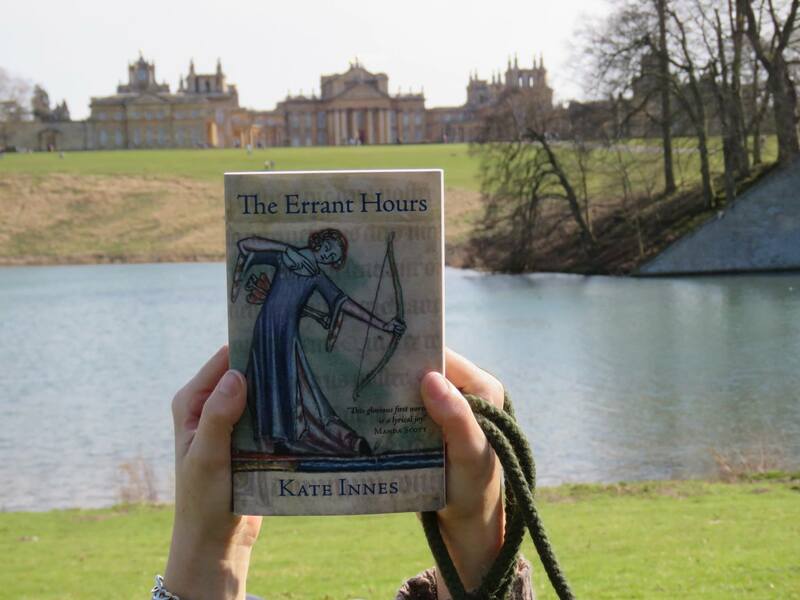 “Innes brings her poetic sensibilities to bear in this lovely sequel to The Errant Hours, set ten years later. Illesa is married to Sir Richard Brunel, has borne three children and lost one, and is happily settled at their small manor farm in Shropshire when King Edward’s call for war to regain the lost Duchy of Aquitaine summons Richard, despite his maimed leg and missing eye, back to the battlefield. French treachery lands Richard in a Bordeaux prison, and Illesa launches a dangerous scheme to trade a priceless clerical garment for her beloved’s life. Helping her are Gaspar, a witty traveling player carrying a fatal secret, and Azalais of Dax, a skilled trobairitz (female troubadour) trained in the songs of courtly love. Talks about the historical background to The Errant Hours and the sequel, All the Winding World, poetry readings and book signings are available for public or private venues. Book Clubs, Women’s Institutes, Bookshops, Libraries, Church Societies and many other groups have enjoyed these presentations. Talks range from 30 min to 1 hour in length. The collection is now available from Amazon, and also from Shropshire bookshops. 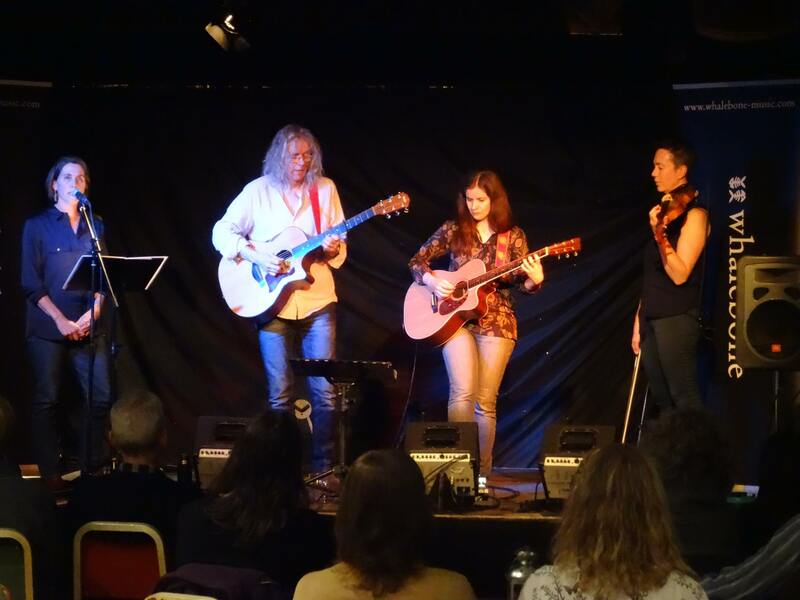 A special collaboration with the award-winning acoustic group, Whalebone, also called Flocks of Words is a melding of mesmeric music and poetry, exploring the mythic and natural landscape around us. Flocks of Words can be booked for venues around the West Midlands, both taster performances and ticketed full performances. Contact us through the ‘Get in Touch’ page or by calling 01746 765268. 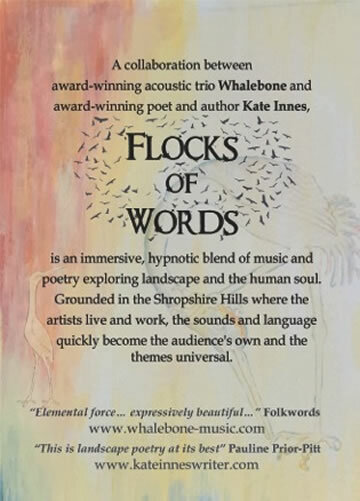 Performances of Flocks of Words have taken place at Wenlock Books, The Greenwood Centre, Severn Valley Country Park, Ludlow Assembly Rooms and several public libraries. The Errant Hours – the book that travels the world! It has galloped through Morocco, Japan, Portugal, Cuba, Belize and Florida. Last seen being read by the Grad Students in the Celtic Studies Department at Harvard University. 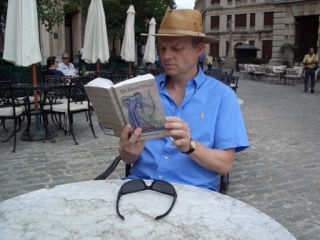 Where will you read your copy?